Timothy Bissett is the Technical Manager of Latchways plc and a Chartered Engineer with the Institution of Mechanical Engineers. 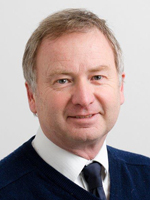 As part of the his role as Technical Manager he contributes to the development of product standards for personal fall protection equipment, as such, and is a member of BSI Technical Committee PH/5, convenor of CEN/TC 160 Working Group 1, convenor of CEN/TC 160 Working Group 2 and principle UK expert to CEN/TC 160 Working Group 6. In addition to his work with European standards he is also a member of American National Standards Institute ANSI Z359 Fall Protection Committee.